Subtitle: Once you understand "God's Pattern of Judgment", you will appreciate how very close to Judgment America stands today. By an objective standard, President Bush's invasion of Iraq (Ancient Babylon) has thoroughly destroyed that country. Consider a smattering of news articles which reveal this horrific reality. "UNITED NATIONS (Reuters) - U.N. Secretary-General Kofi Annan said Iraq was in the grips of a civil war and many people were worse off now than under Saddam Hussein ... Annan, who leaves office on Dec. 31 described Iraq as being in an extremely dangerous situation and again questioned the ability of Baghdad's leadership to solve the civil strife by themselves. 'When we had the strife in Lebanon and other places, we called that a civil war -- this is much worse', Annan said in an interview with BBC television and radio." "He said he agreed with Iraqis who claim that life is worse now than it was under Saddam ... 'If I were an average Iraqi obviously I would make the same comparison -- that they had a dictator who was brutal but they had their streets, they could go out, their kids could go to school and come back home without a mother or father worrying, 'Am I going to see my child again?' "
"Annan ... has proposed an eventual international conference on Iraq, which Baghdad's leaders have rejected ... 'They would need help from the international community and their neighbors'..."
One of the objectives of this deliberately failed war may yet be an international conference! Of course, if an international settlement were to be forced upon the region, that would further the goal of the Illuminati. During the course of such an international meeting, global leaders could find rich opportunity to criticize President Bush for his independent decision to invade Iraq. We have long stated that one of the major obstacles the Illuminati admits to facing is National Sovereignty, i.e., the ability of a national ruler to take action based solely on what he believes is right for his nation. The Illuminati has fought two world wars and has planned a third simply in order to abolish National Sovereignty in favor of international authority; after President Bush's Iraqi debacle causes World War III, the Masonic Christ which will come striding out of that war will have a strong case when he bans National Sovereignty forever. "Using money, weapons or its oil power, Saudi Arabia will intervene to prevent Iranian-backed Shiite militias from massacring Iraqi Sunni Muslims once the United States begins pulling out of Iraq ... Diplomats and analysts say Iraq's Sunni Arab neighbors, led by heavyweight Saudi Arabia, fear that the sectarian violence could spill into large-scale civil war between Shiites and Sunnis and set off a political earthquake far beyond Iraq." The idea is preposterous that Saudi Arabia possesses the military power to effectively intervene against Iran in Iraq! Since both Saudi Arabia and Iran possess nuclear weapons (NEWS1660), Saudi leaders are checkmated on that option. However, Iran is further protected by Russian Scalar Weapons technology (NEWS2074). Therefore, we can assume that Saudi Arabia's threat to invade Iraq against Iran or Iranian-back Shi'ites simply will not happen. However, the real story is the reason the Saudis want to invade in the first place: their recognition that Shi'ites will massacre Sunnis once American forces withdraw! As you will soon see, this reality looming on the horizon will fulfill the End of the Age prophecy in Isaiah 13! "While chaos consumes Iraq, Washington is consumed by a debate about whether it's accurate to call the conflict a 'civil war'. While the press corps this week congratulated itself for speaking truth to power, President Bush pointedly rejected the new catch phrase, as if that alone could change a course that has cursed Iraq." Notice that this journalist has applied the word, "cursed" to the Iraqi disaster. Remember that word, for God is truly cursing Ancient Babylon (Iraq) just as He said he would do in Isaiah 13. "In the ruins of that country, the Kurds fly a new flag and put up border crossings, Sunnis and Shiites try to exterminate each other, and al-Qaida controls the western provinces. Iraq is run now by a desperately ineffective prime minister, by corrupt and incompetent military and police forces, by a nascent democracy controlled by fundamentally anti-democratic forces. If this is an American disaster, it is an Iraqi tragedy, a country mired in malevolent anarchy that leaves thousands - fighters and civilian men, women and children - dead each month." When God uses another nation or a coalition of nations to bring about His judgment upon one particular nation, that nation is turned into ruins and becomes a tragedy for which there may not be any remedy! That is the awful nature of God's judgment, as mankind is about to understand. "It is a war caused by the U.S. government's shoddy intelligence, made worse by incompetent leadership ... America has suffered in this war; you need only to trace a finger down the names of the dead to know that, only need to watch troops leave for their fourth or fifth deployments. But the American sacrifice has been uncomfortably narrow and specific, not national or complete, and it is dwarfed by the suffering of Iraqis." I beg to differ with this journalist about his contention that "American sacrifice has been uncomfortably narrow and specific", for soon, the final bell will be sounded for American soldiers dying of the Depleted Uranium poisoning they have suffered while fighting this unnecessary war. Please take the time to read our numerous articles on the effects of Depleted Uranium munitions. You will discover the reality that, no later than 2020, Iraq will be suffering so terribly from uranium poisoning in her air, her soil, her water and her people that she will become a nation unfit for human habitation! Her living will envy her dead!! With this in mind, let us now examine how exactly this current war has fulfilled the somber End of the Age prophecy of Isaiah 13, where God pronounced the final judgment against Babylon (Iraq). Let us begin our study, the text of which shall be Isaiah 13:1, 4-22. This prophecy is one which has both a "near and a far" fulfillment. Clearly, all of verses 1-3 were fulfilled when God brought the armies of the Medo-Persian Empire into Babylon to take it easily, quickly, and with great bloodshed, as recorded in Daniel, Chapter 5. Clearly, verses 17-22 also seemed to have been fulfilled at that ancient time; however, the indications seem overwhelming that an End of the Age "far" fulfillment is required. Let us study this passage now. When God begins a chapter using this language, the reader is alerted that He is about to issue a terrible physical judgment upon the people mentioned in the prophecy. We see this language used consistently in the book of Isaiah, as God specifies final judgment for many different nations, some of whom are clearly End of the Age. Here, God is telling of His judgment upon Babylon, a judgment He did carry out just as He said he would in verses 2-3, using the combined armies of the Medo-Persian Empire. In today's terms, the Medes would most probably be the Kurds and the Persians are most definitely the Iranians. God used Darius the Mede to bring this original terrible judgment. However, verse 4 begins a very different judgment, brought on by armies from a "distant country", and occurring at the End of the Age, as verses 9-13 so clearly demonstrate. The army God is raising up against Babylon were gathered together like the "uproar of a multitude in the mountains". When a huge army assembles in the thinner air of a mountain, and they get ready for battle -- even shouting like warriors of old shouted -- their sound is seemingly amplified as it comes clearly through the thinner air, and can be heard for many miles. Certainly, the roar of the multitude as our armed forces were getting ready to go to battle has certainly fulfilled this prophecy. Notice, also, that this terrible foreign army is prophesied as planning to "seize and destroy the whole land." Certainly, our exceedingly heavy use of Depleted Uranium munitions fulfills this particular portion of this Scripture, as we have already noted. NEWS BRIEF: "45 nations join 'coalition of willing' ", WorldNetDaily, March 19, 2003. "In an effort to counter criticism that an invasion of Iraq represents a largely unilateral decision by the U.S., the State Department yesterday released a list of 30 countries that have agreed to be named publicly as members of a 'coalition of the willing' in support of the U.S. plan, while identifying about 15 others that have given their backing privately ... The 30 publicly-named governments, together with the United States, represent some 1.1 billion people, about one sixth of the total population of the world." Thus, you can see that 30 nations have joined with the United States and Great Britain to assemble this force together for the attack. Note also that these armies "come from a distant country, from the uttermost part of the heavens" to marshal for the invasion. When you realize that Australia committed troops, you can realize how fully this prophecy is being fulfilled. Other "distant" countries supporting this invasion include Columbia, El Salvador, Japan, South Korea, Nicaragua, and The Philippines. Truly, God mustered armies and supported units from the "uttermost part of the heavens". Finally, note that this coalition army has, indeed, "seized and destroyed the whole land." In the Gulf War of 1991, I thought this Scripture was being fulfilled completely, until President George H.W. Bush ordered US and Coalition Forces to stand down just as they were crossing the border of Kuwait/Iraq. I realized instantly that we were not going to "seize and destroy the whole land", so the final fulfillment of this prophecy awaited another day. But, in this invasion, Coalition Forces have literally seized the whole land of Iraq, and is in the daily process of completely destroying it through uranium poisoning -- the land is ruined, as this radiation has contaminated the air, the soil, and the water. And, the people are dying, by inches, by this insidious, modern, invisible uranium warfare. This Coalition Force is foretold to deliver blows of unprecedented warfare upon the Babylonian people. This verse contains probably the most stupendous insight of any verse in this segment. First, God is saying that He is coming upon Babylon (Iraq) with wrath and raging anger. In other words, these armies from the "distant countries" are God's instrument of wrath, anger, and Judgment. This fact explains why we may use nuclear weapons against Iraq. The effects of this unprecedented warfare would certainly fulfill the description of God's judgment: "fierce, with wrath and raging anger"
Now, to understand the danger America is in if God has chosen her to be His hammer of judgment against Iraq, you have to understand the "pattern of judgment" as revealed in the Old Testament. On numerous occasions, God used a more wicked nation as His physical arm of judgment against Israel; but then, in every case, once God had delivered his judgment against Israel, He then turned around and destroyed the nation He had just used against Israel. Bible scholars call this His "Pattern of Judgment". Let me repeat the Biblical "Pattern of Judgment" -- Once God uses a nation militarily to come against another nation in judgment, He then turns upon that nation whose military He has just used, and brings that nation into full physical judgment, which usually means physical devastation. This is Biblical reality, and should serve to sober us tremendously. "to make the land and the whole earth a desolation"
Like the outward ripples caused by a rock thrown into a placid lake, this prophecy reflects an ever-widening ripple effect around Iraq. God is saying that, once He finishes destroying "the land" (Iraq), He is going to continue His End of the Age prophetic destruction to eventually cover the whole earth! Can you see this progression? Once Iraq is destroyed, God's prophetic Word says that His judgment will grow and grow, eventually encompassing the entire earth! Thus, once Iraq is destroyed, God's destructive judgments will ripple outward to the rest of the nations in the Middle East, and eventually outward to the entire earth! This is the sequence we should look for as our destruction of Iraq is completed. Finally, notice that God's intention is to destroy the sinners out of both Iraq and the entire world! Never miss sight of this reality: God's ultimate goal in the End of the Age Tribulation is to prepare the world to accept the return of Jesus Christ and His 1,000-Year Reign, and one of the most important ways in which the world is to be prepared is to destroy all the sinners throughout the world. Therefore, the sinner in your neighborhood will eventually -- probably within a few years -- will be subject to this prophecy just as the poor people who have been killed in Iraq. This verse, then, really nails down the reality that this verse is End of the Age context. The startling revelation in these two verses is that God will kill so many people that mankind will be more rare than "fine gold". Scarcity is the reason fine gold is so precious. Therefore, this verse literally means that the numbers of man shall be very, very few left in number, at least in the regions singled out for military judgment. Once again, this verse contains the End of the Age language used so commonly for this period of time, to describe God's furious judgments pouring down upon a wicked world. If the Kurds are going to be turned at the very end of the age against the now hapless Iraqi citizens after their destruction by American-led forces, then the description of this destruction in the following verses makes a lot of sense. 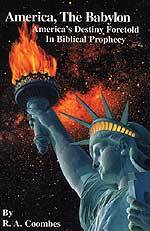 As the world enters into the Tribulation period, the emphasis will be on Israel and Antichrist. Little attention will be paid to the annihilation of the few survivors of Iraq, as the Kurds may finish God's judgment. In fact, in the last year, the Kurds have become more and more assertive. In recent news articles, we see that the Kurds have established their own flag, their own army and their own border. The modern day descendants of the Medes may be the Kurds, who are right now caught in the middle of this conflict, but who are very eager to destroy Iraq in revenge for the terrible atrocities inflicted upon them by Saddam Hussein. Easton's Illustrated Dictionary lists the Medes as part of the Assyrian Empire, which covers the area of today's Iraq, Syria, Lebanon. This area borders on the mountainous border of Iran (Persia). Remember, the army that destroyed Babylon in Daniel 5 was a combined army from Medo-Persia. If the Kurds are going to be turned at the very end of the age against the now hapless Iraqi citizens after their destruction by American-led forces, then the description of this destruction in the following verses makes a lot of sense. Today, the Kurds anxiously await the turn of events from their position north of Baghdad. They may be the most organized, and best equipped of any faction in Iraq because they have been built up by the American army. If America pulls abruptly out of Iraq, all-out civil war between the Sunnis and Shi'ites will probably ensue. Once they have spent themselves the Sunnis and Shi'ites might look to their north with horror, realizing their centuries-long nemesis, the Kurds, are going to march southward, armed to the teeth with American weapons. One interesting footnote is in order here. When God says that Babylon shall not be inhabited anymore, I wonder if the reason for it is the atomic contamination by either our nuclear warheads or from the titanium shells that will remain after Baghdad is pummeled? We shall just have to wait to see how events are really going to occur. This prophecy has both a "near" and a "far" fulfillment. However, her destruction by the original Medo-Persian army will pale to insignificance to the destruction with our modern weaponry. When Iraq's final judgment comes upon her, she shall be completely devastated and her land seized. It is so interesting that God gives a "rippling-out effect" from Iraq to the rest of the world, rippling outward just as ripples occur in a quiet lake surface once a stone is thrown into the water (Verse 9). This verse seems to be indicating that Iraq shall be but the first of the End of the Age judgments! From Iraq's judgment, the other judgments in the Middle East and around the world shall begin. Is it any wonder that, in the early 1950's, the Illuminati chose the US invasion of Iraq to be the trigger event that will set the Middle East afire? Is it any wonder this invasion of Iraq was then planned to be the first battle of this World War III to produce Antichrist? While we shall have to wait to see how events are going to play out, it surely seems that this war may be the beginning of the planned World War III to produce Antichrist. Are you spiritually ready? Is your family? Are you adequately protecting your loved ones? This is the reason for this ministry, to enable you to first understand the peril facing you, and then help you develop strategies to warn and protect your loved ones. Once you have been thoroughly trained, you can also use your knowledge as a means to open the door of discussion with an unsaved person. I have been able to use it many times, and have seen people come to Jesus Christ as a result. These perilous times are also a time when we can reach many souls for Jesus Christ, making an eternal difference.